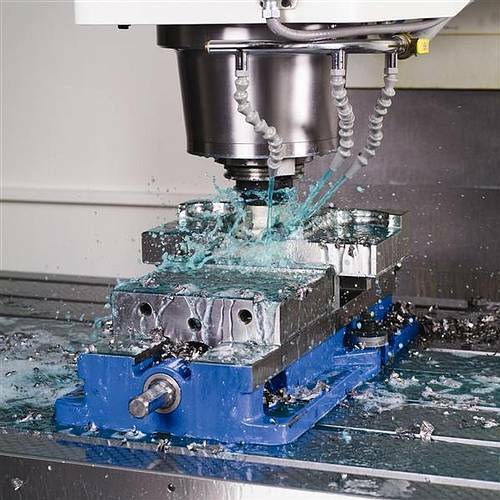 CNC milling is a cutting process in which material is removed from a block of material by a rotating tool using computer numerically controlled program or code to achieve a desired tool path to machine very accurate parts precisely and efficiantly. In CNC milling the cutting tool is moved in all three dimensions to achieve the desired cut shape. More accurate and faster than conventional milling, CNC milling is yet another reason to choose Ultimate Tool as your precision part supplier. Whether it be a 1 part run off or a production run of your custom designed product, Ultimate Tool has the tools and experiance to do the job. With the ever changing economy, engineers are finding it more and more difficult to find a company that is large enough to handle the task at hand, but still small enough to provide a quality product at fair price. With over 25 years experiance in CNC Machining, Ultimate Tool has the tools and know-how to do the job. Ultimate Tool is also a family owned and opperated company, which means that we take great pride in our work to ensure the customer is happy and will come back for future business. What does this mean for you? This means that you get all the bennifits and capabilities of a large machine shop, but with the price, integrity and quality you come to expect from the smaller companies. Ultimate Tool & Die can Mill complex parts as well as production runs up to 40" x 20" x 20" on our Fadal Vertical Machining Centers. When a quality as well as lead-time matters most, trust Ultimate Tool as your one-stop shop for all of your CNC Milling Needs!! !